Wednesday 9th June 2010, 6:30 pm. There are few topics in computing as likely to engender such strong and competing opinions as the issue of filesharing. With the enactment of the Digital Economy Act 2010, and the recent publication of the draft OFCOM Initial Obligations Code, the pendulum may have swung in favour of the content industry. But is this merely the first step in a wider attack on users? Within the last few weeks we have seen the first “three strike” letters being sent by the Irish ISP Eircom, ISPs are supposedly already being requested to retain data on allegedly infringing users and an official draft of ACTA has been released by the negotiating parties. Exactly what does the Digital Economy Act mean for filesharing – and particularly for ISPs and network operators? Is ACTA a means of protecting rights or of establishing the hegemony of Hollywood on a worldwide scale? David specialises in all aspects of non-contentious intellectual property, with particular emphasis on computer-related contracts and issues. He is acknowledged as a leading expert in Intellectual Property Law, Computer/IT Law, and European Law, and is a former independent expert under the UK Domain Dispute Resolution Procedure. 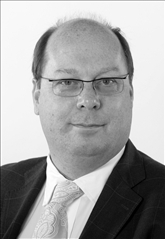 He has also specialised in corporate insolvency for almost 30 years and has an extensive practice in competition law. A licensed insolvency practitioner, David is the author of MacRoberts Scottish Liquidation Handbook and numerous other texts on insolvency. David is a recognised authority on restrictive practices and Competition Law and, with qualifications from both Glasgow and Amsterdam Universities, also advises extensively on all aspects of EU Law including agency and distribution. He is a member of the CBI Competition Panel and the Joint Working Party on Competition Law of the UK Law Societies and Bars and the Chair of an American Bar Association Committee on Intellectual Property law. He advises on all types of commercial contract, including those with an international flavour or requiring cross-disciplinary expertise. David writes and lectures extensively in the UK, the US and internationally in relation to his specialities.